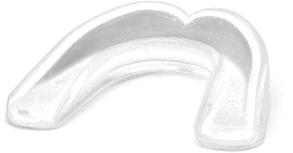 2 layer mouthguard for good protection, minimizes concussion and dental damage chances. Youth size, ages 10 & under. If guard is a little too large, you can cut some of the ends off with a knife.